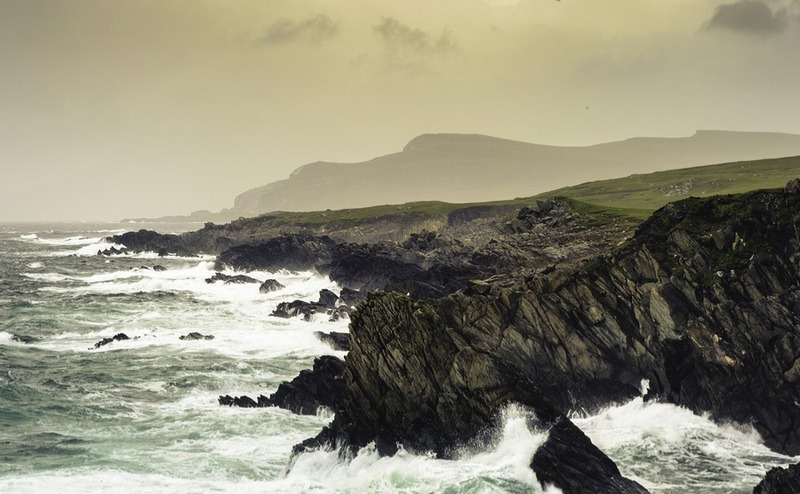 While many of us are waiting for the springtime to head off for a viewing trip to France, some of those who have already made the break are going to miss the winter months. British resident in France Penny Osborne is one. Penny explains why she loves living in France off-season, among her welcoming, warm-hearted French community. I first fell in love with France as a teenager, on holiday trips to Brittany. From the vanilla-and-yeast tinted aromas of French patisseries, to the forbidden fruit of earthy Gauloises cigarette smoke wafting on the evening air, the sights, sounds and smells of rural France had me hooked. When I moved to Paris some 15 years later, I succumbed willingly to the charms of French city life. Whether it be strolling the leafy boulevards of the sixth arrondissement, or trudging the grey streets of Montmartre on a Sunday, not a day went by when I didn’t thank my lucky stars to be a resident in this most beautiful country. Determined to buy before next winter? Then get your tickets to Your Overseas Home. It’s designed specifically for serious buyers, so you can get detailed information from lawyers, agents and currency providers. So, when I had the chance to move permanently to my seaside home in France, I jumped at the chance. Friends were more cautious. What about the off-season they asked? Won’t you get bored? And what if all the shops are closed, and you find yourself isolated, stranded on the continent, with only baguettes and one-too-many verres of vin rouge for company? The reality has proved better than my wildest dreams. Far from being lonely, I have found myself the centre of a warm-hearted community. In the quieter season it battens down the hatches and rejoices in the sense of fellowship and neighbourliness that characterises rural areas of France. And once the tourists have departed, all the pleasures of a seaside town remain for residents to enjoy. The fishermen still ply their trade, and the little stalls on the quayside remain open most days. Absent of the queues of impatient Parisians and holidaymakers, it’s quick and easy to snare a delicious catch for supper. In-season scallops, lobster, turbot and plaice are available to buy at a fraction of city prices. 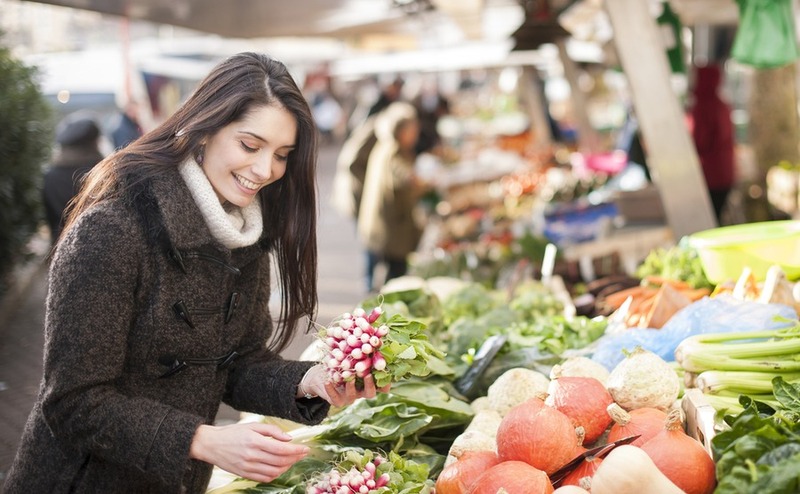 Fresh vegetables abound, and the markets continue to serve the loyal locals with a smile. Despite the challenges of winter wind and rain, they’re grateful of the regular custom. And the produce is no less fine in the cooler months. Delicious winter vegetables like creamy cauliflowers, nutty Jerusalem artichokes and fresh cabbage are perfect to garnish winter soups and pot au feu. Endless sunny days are not unusual, and the weather is kind to those who like outdoor pursuits. Far from closing for the season, sporting centres like riding and sailing schools resume normal operations, serving school children and adult learners alike. Becoming an ‘adherent’ or year-round member brings special privileges. The country lanes are yours to ride alone. Or you can drift around the coastline in a rented catamaran with a few gulls and cormorants for company and no pressure to return within the hour. Early autumn and late spring are the most perfect times to visit, with high pressure dominating the maritime coastlines of France. Endless sunny days are not unusual, and the weather is kind to those who like outdoor pursuits. Blissful, even if the sun’s not shining. What’s more, the French, being a sociable bunch, hunker down in winter and do what they love best – eat and drink. When you need a neighbour to help you stack wood or source a chimney sweep, it’s easy to consolidate the acquaintances made over summer aperitifs over a hearty lunch given in compensation. As you swap recipes and restaurant tips over a glass or two at the local bar, you rejoice in the fact that you can call upon those neighbourly acts of kindness that are essential to survival in intemperate climates. For those who love to socialise, it’s easy to fall into active circles. You have the chance to explore music, theatre, dancing and arts and crafts with like-minded folk. Supermarkets and shops are replete with flyers, and residents only too keen to get out and about when the roads are quiet and it’s easy to park. A favourite family activity in winter is the weekend randonnée familiale, with a feast of a pork roast and crépes at the end for participants. All are welcome to attend, from toddlers to the elderly, in a celebration of rural life and natural beauty. 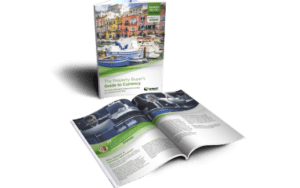 As we approach the most popular buying season, you’ll need to move fast to find the best bargains. 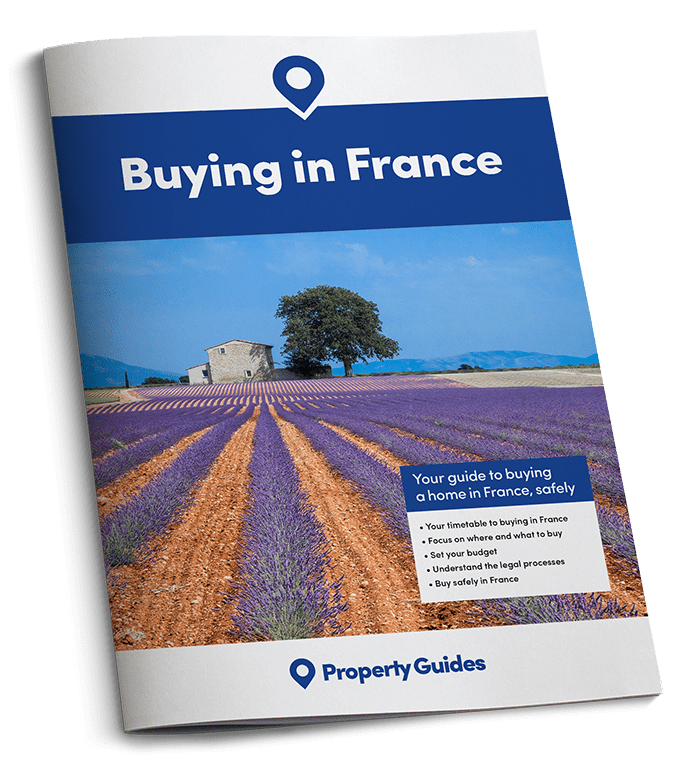 Call our friendly France Resource Team on 020 7898 0549 or email France@propertyguides.com to be introduced to trusted estate agents and lawyers. When the presidency of my village arts association came up for grabs, I decided to take it on, and my first task was to change our objective to that of making the village as vibrant off season as it is in the height of summer. Although, frankly, between the regular sales of plants, clothes, bric-a-brac and the weekly theatre groups, I think success is guaranteed. The energy and commitment of all who participate is inspirational. For those who enjoy life in a seaside town in France are party to a special secret – life is even better when the swallows of summer have departed, and the white sand beaches and restaurants are empty for us to enjoy.